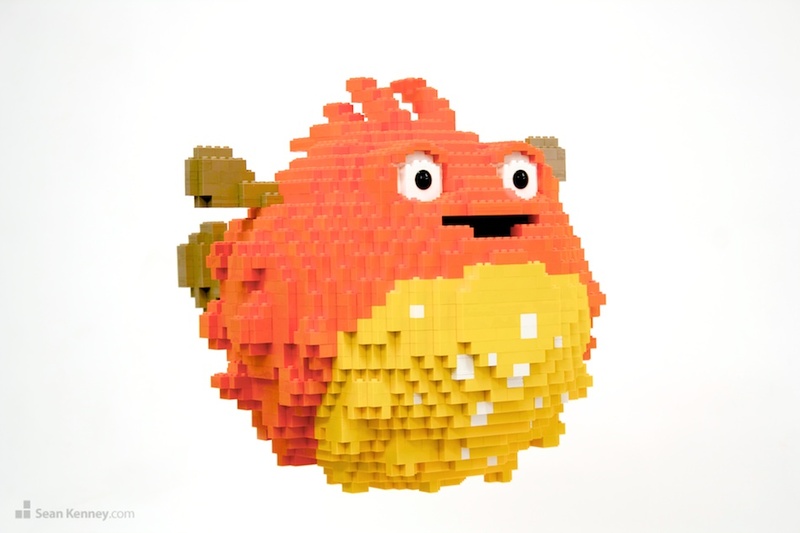 Popular URL-shortening service Bit.ly commissioned this 3D interpretation of their cartoon pufferfish logo, which is now on display in their new Manhattan office. I always find it greatly rewarding to devise a sculptural interpretation of something that couldn't otherwise exist in physical space. The sculpture is roughly a foot wide and is designed to be suspended in mid-air from a hook. It took about 60 hours to design and create this piece. And he's just so darn cute!